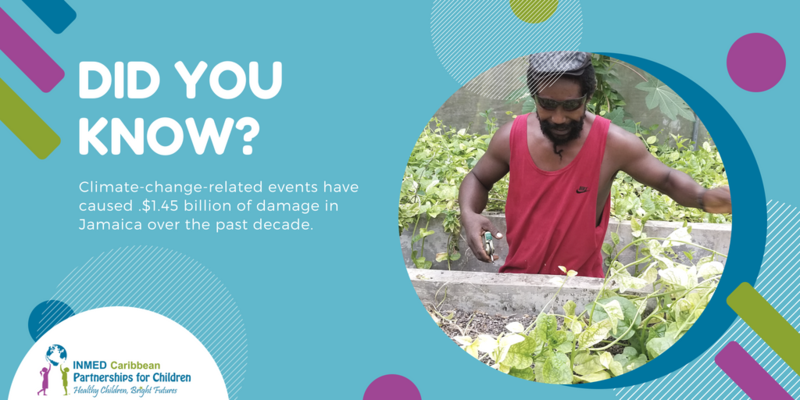 Did you know that over the past decade, Jamaica has experienced nine hydro-meteorological natural disaster events causing damage estimated at J$111.8 billion (about U.S.$1.45 billion)? Smallholder farmers are the most vulnerable to the effects of climate change events but lack the education, technology and access to financing to become resilient. INMED’s Increasing Access to Climate-Smart Agriculture program is empowering Jamaica’s farmers and emerging entrepreneurs to launch aquaponics enterprises to strengthen their food security, provide a sustainable income and foster community development. Learn more about this program at https://inmedcaribbean.org.